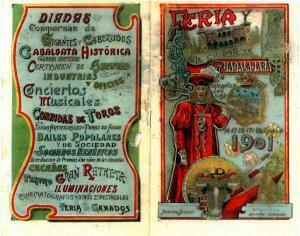 Cover, back page and pages 14 and 15 of the Guadalajara 1901 Feast program. The only cinematograph we know that worked that year was the Farrusini installed in Sto. Domingo. It stayed in Guadalajara until the 24 November. A.H.M.